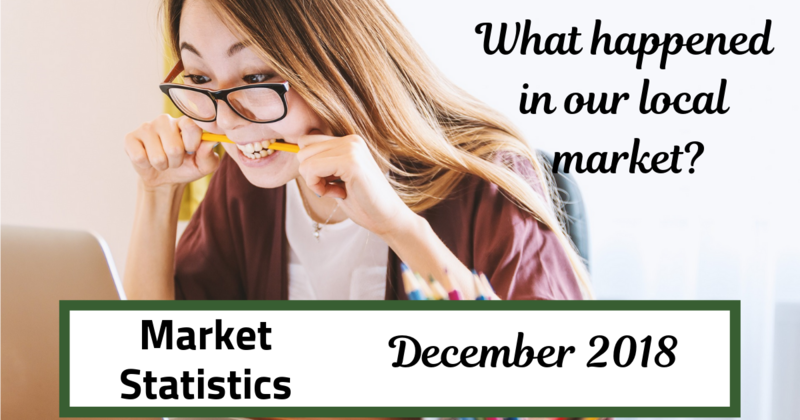 December’s average days on market throughout our area was 43. Compared to last spring’s average of 27, it is quite a bit higher, though only slightly higher than December 2017, when the average was 40 days. Yet a little more telling of the state of the market is that the rate of appreciation has changed from an average of 6.91% in 2017 to 5.88% in 2018. Still a seller’s market in most cities, we are beginning to see that the market is moving towards a balance, though it may be another year or two before we’re fully balanced. According to key indicators, the projection is that housing market is leveling out a bit and stabilizing. You can read my 2019 projections report by clicking this link, or watching the video report here. You’ll see that the market is still good – no fear of the dreaded market crash rumors that have been going around some circles. In the meantime, you can find the data for your city in the chart below. By all means, contact me if you have any questions or would like further information on your city, or your neighborhood or home specifically.